This article is about the religious science of the study and evaluation of the Islamic hadith. For critiques of the collection and use of hadith in Islam, see Criticism of Hadith. Hadith studies (Arabic: علم الحديث‎ ʻilm al-ḥadīth "science of hadith", also science of hadith, or science of hadith criticism) consist of several religious disciplines used in the study and evaluation of the Islamic hadith — i.e. the record of the words, actions, and the silent approval of the Islamic prophet, Muhammad, by Muslim scholars. The sciences seeks to determine the authenticity (sihha) of ahadith, primarily by attempting to determine whether there are "other identical reports from other transmitters"; the reliability of the transmitters of the report; and "the continuity of the chain of transmission". It has been described by one hadith specialist, Jalal al-Din al-Suyuti, as the science of the principles by which the conditions of both the sanad, the chain of narration, and the matn, the text of the hadith, are known. This science is concerned with the sanad and the matn with its objective being distinguishing the sahih, authentic, from other than it. Ibn Hajar al-Asqalani said the preferred definition is: knowledge of the principles by which the condition of the narrator and the narrated are determined. "In most cases the truthfulness or lack of truthfulness of a tradition can only be known through the truthfulness or lack of truthfulness of the transmitter, except in a few special cases when he relates what cannot possibly be the case, or what is contradicted by better-authenticated information." The isnad is carefully scrutinized to see if the chain is possible (for example, making sure that all transmitters and transmittees were known to be alive and living in the same area at the time of transmission) and if the transmitters are reliable. The scholars reject as unreliable people reported to have lied (at any point), as well as people reputed to be heedless (and thus likely to misunderstand the saying). The term muḥaddith (plural muḥaddithūn often translated as "traditionist") refers to a specialist who profoundly knows and narrates hadith, the chains of their narration isnad, and the original and famous narrators. According to the 8th century Imam, Sheikh Muhammad ibn Idris ash-Shafi`i, a muhaddith is someone who has memorised at least 400,000 narrations along with the chain of narrators for each narration. The female equivalent is a muhadditha. In describing the muhaddith, Al-Dhahabi raised the question, "Where is the knowledge of hadith, and where are its people?" Answering his own question, he said, "I am on the verge of not seeing them except engrossed in a book or under the soil." Both men and women can serve as muhaddithin (traditionists). The requirements for a muhaddith are the same requirements that apply to the reception and transmission of reports (riwayah) in the Islamic tradition more generally: truthfulness, integrity, a competent and accurate memory, being free of prejudice or compulsion that might be presumed to distort the reporting. There are numerous women who have served as muhaddithat in the history of Islam. Nadwi counts more than 8000 based on the biographical dictionaries of the classical and medieval period. Many of these women belonged to the most outstanding scholars and traditionists of their time and men were proud to receive narration from them. One must also note that muhaddithat transmitted the same body of knowledge as their male counterparts - there were and are no restrictions on what could be transmitted by women. Reporting or narrating (riwayah) must be differentiated from giving testimony (shahadah). While women are entirely equal in riwayah, many Islamic jurists place restrictions on women in shahadah - thus in several schools of law the testimony of two women is equal to that of a man. A muḥaddith or "traditionist" is not the same a one of the Ahl al-Hadith or a "traditionalist", a member of a movement of hadith scholars who considered the Quran and authentic hadith to be the only authority in matters of law and creed. After the death of Muhammad, his sayings were preserved in both written and memorized form. Umar ibn al-Khattab, the second caliph, began to collect all the hadiths together into one unified volume. He, however, chose to give up the endeavor in order to have the Muslim nation concentrate its efforts more on the Quran. The Umayyad caliph, Umar ibn Abd al-Aziz also started an effort to collect all the hadiths. Teaching and collecting hadiths was part of a plan of his to renew the moral fiber of the Muslim community. He supported teachers of fiqh, sent educators to ignorant Bedouin tribes, ordered weekly hadith lectures in the Hejaz, and sent out scholars of hadith to Egypt and North Africa. Umar also ordered the great scholar of Madinah, Abu Bakr ibn Hazm to write down all the hadiths of Muhammad and Umar ibn al-Khattab, particularly those narrated by Aisha. He had these hadiths collected in books which were circulated around the Umayyad Empire. Although these books are lost today, commentaries on them by Ibn al-Nadim reveals that they are organized like books of fiqh, such as the Muwatta of Imam Malik, the first large compilation of hadiths. Imam Malik himself probably followed the general plan of the early books of hadith ordered by Umar. The classification of Hadith into sahih, sound or authentic; hasan, good; and da'if, weak, was utilized early in hadith scholarship by Ali ibn al-Madini (161–234 AH). Later, al-Madini's student Muhammad al-Bukhari (810–870) authored a collection, now known as Sahih Bukhari, commonly accepted by Sunni scholars to be the most authentic collection of hadith, followed by that of his student Muslim ibn al-Hajjaj. Al-Bukhari's methods of testing hadiths and isnads are seen as exemplary of the developing methodology of hadith scholarship. From the first of those who authored a work on this subject is the Judge, Abū Muḥammad al-Rāmahurmuzī in his book, ‘al-Muhaddith al-Faasil,’ however, it was not comprehensive. And al-Hakim, Abu Abd Allah an-Naysaburi, however, it was neither refined nor well arranged. And following him, Abu Nu’aym al-Asbahani, who wrote a mustakhraj upon the book of the later, (compiling the same narrations al-Hakim cited using his own sanads.) However, some things remain in need of correction. And then came al-Khatib Abu Bakr al-Bagdadi, authoring works in the various disciplines of hadith studies a book entitled al-Kifaayah and in its etiquettes a book entitled al-Jami’ Li Adab ash-Sheikh wa as-Saami. Scarce is the discipline from the disciplines of the science of hadeeth that he has not written an individual book regarding, as al-Hafith Abu Bakr ibn Nuqtah said: 'Every objective person knows that the scholars of hadeeth coming after al-Khatib are indebted to his works.' After them came others, following al-Khatib, taking their share from this science." al-Qadi ‘Eyaad compiled a concise book naming it al-Ilmaa’. Abu Hafs al-Mayanajiy a work giving it the title Ma Laa yasu al-Muhaddith Jahluhu or That Which a Hadith Scholar is Not Allowed Ignorance Of. There are numerous examples of this which have gained popularity and were expanded upon seeking to make plentiful the knowledge relating to these books and others abridged making easy their understanding. This was prior to the coming of the memorizer and jurist Taqiyy ad-Deen Aboo ‘Amrin ‘Uthmaan ibn al-Salah ‘Abd ar-Rahmaan ash-Shahruzuuree, who settled in Damascus. He gathered, at the time he had become a teacher of hadith at the Ashrafiyyah school, his well known book, editing the various disciplines mentioned in it. He dictated it piecemeal and, as a result, did not succeed in providing it with an appropriate order. He occupied himself with the various works of al-Khatib, gathering his assorted studies, adding to them from other sources the essence of their benefits. So he combined in his book what had been spread throughout books other than it. It is due to this that people have focused their attention upon it, following its example. Innumerable are those who rendered his book into poetry, abridged it, sought to complete what had been left out of it or left out any extraneous information; as well as those who opposed him in some aspect of his work or supported him. According to Islamic tradition the sanad (سند), or isnād (اسناد)), bases a tradition on its first authority and traces an ascription in ascending order, in an uninterrupted chain of traditionaries, back to a first authority so as to corroborate its credibility. The isnād and the commentary are distinct from the matn (متن), which is the main body, or text, of a linguistic tradition or literary text. These two terms are the primary components of every hadith. The route of transmission of the matn is the sanad, and the experts and scholars of hadith determine the authenticity or weakness of a given hadith according to it. The term sanad is synonymous with the similar term isnad. The matn is the actual wording of the hadith by which its meaning is established, or stated differently, the objective at which the sanad arrives at, consisting of speech. The sanad consists of a ‘chain’ of the narrators, each mentioning the one from whom they heard the hadith until mentioning the originator of the matn, along with the matn itself. The first people who received hadith were Muhammad's Companions, who are believed to have understood and preserved it. They conveyed it to those after them as they were commanded; then the generation following them, the Followers, received it and then conveyed it to those after them, and so on. Thus, the Companion would say, “I heard the Prophet say such and such.” The Follower would say, “I heard a Companion say, ‘I heard the Prophet say’” The one after the Follower would say, “I heard a Follower say, ‘I heard a Companion say, ‘I heard the Prophet say’” and so on. Early religious scholars stressed the importance of the sanad. For example, according to an early Quranic exegete, Matr al-Warraq, the verse from the Quran, “Or a remnant of knowledge,” refers to the isnad of a hadith. 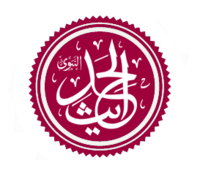 In addition, Abd Allah ibn al-Mubarak said, “The isnad is from the religion; were it not for the isnad anyone could say anything they wanted.” According to Ibn al-Salah, the sanad originated within the Muslim scholastic community and remains unique to it. Ibn Hazm said that the connected, continuous sanad is particular to the religion of Islam: the sanad was also used by the Jewish community, but they had a break of more than 30 generations between them and Moses and the Christians limited their use of the sanad to the prohibition of divorce. The practice of paying particular attention to the sanad can be traced to the generation following that of the Companions, based upon the statement of Muhammad Ibn Sirin: “They did not previously inquire about the sanad. However, after the turmoil occurred they would say, ‘Name for us your narrators.’ So the people of the Sunnah would have their hadith accepted and the people of innovation would not.” Those who were not given to require a sanad were, in the stronger of two opinions, the Companions of the Prophet, while others, such as al-Qurtubi, include the older of the Followers as well. This is due to the Companions all being considered upright, trustworthy transmitters of hadith, such that a mursal hadith narrated by a Companion is acceptable. Al-Khatib al-Baghdadi, stating likewise, cited various evidences for this, from them, the Quranic verse, “And you were the best nation brought about to mankind.” The fitnah referred to is the conflicting ideologies of the Kharijites and the Ghulat that had emerged at the time of the third Caliph Uthman ibn Affan, his assassination and the social unrest of the Kharijites in opposition to the succeeding rulers, Ali and Muawiyah. The death of Uthman was in the year 35 after the migration. Due to the complexity of the sanad system, classifications of the relative authenticity of the hadith fell within the sanad system alone, leaving little room for the matn - or content of the hadith - itself to have much influence in deciding whether the hadith is authentic or not. Syrian hadith scholar Dr. Salah al-Din al-Idlibi is expert in the relatively new field of matn criticism. Whereas traditional criticism has focused on verifying the trustworthiness of the people transmitting the hadith, matn criticism studies the contents of the hadith and compares this with the contents of other hadiths and any other available historical evidence with the aim of arriving at an objective historical reality of the event described by the hadith. An important discipline within hadith studies is Ilm ar-Rijal, or biographical evaluation. It relates to the detailed study of the narrators who make up the sanad. Ilm ar-rijal is based on certain verses of the Quran. There is a basic distinction between Islam and other religions in this regard: Islam is singularly unique among the world religions in the fact that in order to preserve the sources of their religion, the Muslims invented a scientific methodology based on precise rules for gathering data and verifying them. As it has been said, 'Isnad or documentation is part of Islamic religion, and if it had not been for isnad, everybody would have said whatever he wanted. The vagueness of ancient historians about their sources stands in stark contrast to the insistence that scholars such as Bukhari and Muslim manifested in knowing every member in a chain of transmission and examining their reliability. They published their findings, which were then subjected to additional scrutiny by future scholars for consistency with each other and the Qur'an. ^ An Introduction to the Science of Hadith, translated by Eerik Dickinson, from the translator's introduction, pg. xiii, Garnet publishing,Reading, U.K., first edition, 2006. ^ Tadrib al-Rawi, vol. 1, pgs. 38-9. ^ Schacht, Joseph (1959) . The Origins of Muhammadan Jurisprudence. Oxford University Press. pp. 37–8. ^ Ulum al-Hadith by Ibn al-Salah, pg. 5, Dar al-Fikr, ed. Nur al-Din al-‘Itr. ^ al-Nukat ala Kitab ibn al-Salah, vol. 1, pg. 90. ^ Tathkirah al-Huffath, by al-Dhahabi, vol. 1, pg. 4, edited under the supervision of Wizarah al-Ma'arif of the High Court of India by al-Muallimee. ^ Mohammad Akram Nadwi, Al-Muhaddithat: The Women Scholars in Islam, (Oxford/London: Interface Publications, 2007), p. 17. ^ Mohammad Akram Nadwi, Al-Muhaddithat: The Women Scholars in Islam, (Oxford/London: Interface Publications, 2007). ^ Roslan Abdul-Rahim (December 2017). "Demythologizing the Qur'an Rethinking Revelation Through Naskh al-Qur'an" (PDF). Global Journal Al-Thaqafah (GJAT). 7 (2): 53. ISSN 2232-0474. Retrieved 26 February 2019. ^ a b c Siddiqi, Muhammad Zubayr (1993). Hadith Literature. Oxford: The Islamic Texts Society. p. 6. ISBN 0946621381. ^ Nuzhah Al-Nathr, pg. 45–51; published as al-Nukat, Dar Ibn al-Jawzi. I referred to the explanation of Ali al-Qari, Sharh Sharh Nukhbah al-Fikr, in particular segments of pgs. 143-7 in some instances for clarity. The books mentioned above are all published in the original Arabic, with only Ibn al-Salah’s book, as far as I am aware, being translated into English. ^ Wehr & Arabic-English Dictionary, p. 370. ^ Wehr & Arabic-English Dictionary, p. 752. ^ Tadrib al-Rawi, by al-Suyuti vol. 1, pgs. 39–41 with abridgement. ^ Ilm al-Rijal wa Ahimiyatuh, by Mu'allami, pg. 16, Dar al-Rayah. I substituted the word sunnah with the word hadith as they are synonymous in this context. ^ Matr ibn Tihman al-Warraq died in the year 119 after the migration; he used to transcribe the Quran (Kitab al-Jami bain Rijal al-Sahihain, vol. 2, pg. 526, Dar al-Kutub al-Ilmiyah). ^ Reported by al-Khatib al-Bagdadi in Sharaf Ashab al-Hadith, pg. 83, no. 68, Maktabah Ibn Taymiyah. al-Sakhawi also mentioned this narration in Fath al-Mugith, vol. 3, pg. 333, Dar Alam al-Kutub. ^ Reported by Muslim in the introduction to his Sahih, vol. 1, pg. 9, Dar Taibah. This narration is also mentioned in the translation of ‘An Introduction to the Science of Hadith,’ pg. 183. ^ A.C. Brown, Jonathan (2014). Misquoting Muhammad: The Challenge and Choices of Interpreting the Prophet's Legacy. Oneworld Publications. p. 40. ISBN 978-1780744209. ^ Ulum Al-Hadith, pg. 255; this also appears on pg. 183 of the translation. ^ Summarized from Tadrib Al-Rawi, vol. 2, pg. 143. ^ Reported by Muslim in the introduction to his Sahih, vol. 1, pg. 8. ^ See the discussion of this issue in Qurrat Ayn al-Muhtaj by Muhammad ibn Ali ibn Adam, vol. 2, pg. 57-8. ^ Al-Kifayah, pg. 46, Dar al-Kutub al-Ilmiyyah photocopied from the Indian print with Muallimi’s verification. The verse mentioned is verse 110 of Surah Aal Imran; the translation of ‘ummah’ is based upon Ibn Kathir’s interpretation of the verse. ^ This is the explanation provided by al-Qurtubi in al-Mufhim, vol. 1, pgs. 122-3 as quoted in Qurrah Ayn Al-Muhtaj, vol. 2, pg 58. ^ Al-Bidiyah wa Al-Nihayah, vol. 10, pg. 323, Dar Alam al-Kutub. ^ Hawramani, Ikram (4 November 2018). "A Hadith Scholar Presents New Evidence that Aisha was Near 18 the Day of Her Marriage to the Prophet Muhammad". The Hawramani Institute. Retrieved 22 April 2019. Brown, Daniel W. (1996). Rethinking tradition in modern Islamic thought. Cambridge University Press. ISBN 0521570778. Retrieved 10 May 2018. Jonathan A.C. Brown (2009), Hadith: Muhammad's Legacy in the Medieval and Modern World. Oneworld Publications. ISBN 1851686630. Jonathan A.C. Brown (2007), The Canonization of al-Bukhārī and Muslim: The Formation and Function of the Sunnī Ḥadīth Canon. Brill Publishers. ISBN 978-9004158399. This page was last edited on 23 April 2019, at 20:08 (UTC).